Welcome to the Punch Through Design and mobile application resource section. In this section, you will find various resources to get started developing mobile applications to interact with your Punch Through Design projects using Evothings Studio. Punch Through Design is a hardware design firm in San Francisco and Minneapolis. Since 2009 and have helped companies build great wireless products by providing hardware and software expertise. 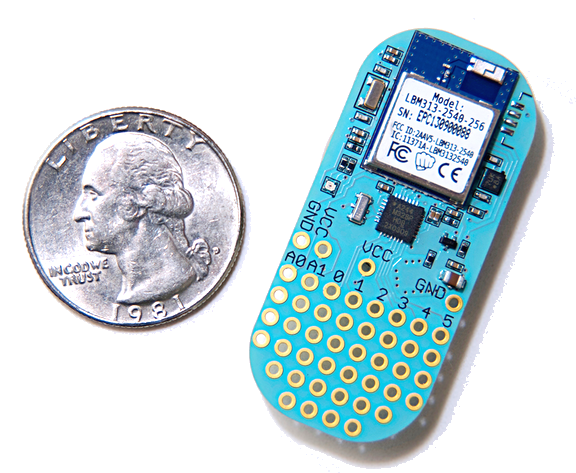 The LightBlue Bean (pictured) is an Arduino based micro-controller with integrated Bluetooth Smart (BLE), accelerometer and LED that can be programmed wirelessly. The company design boards, write firmware, build iOS and Android apps and everything inbetween. Below are a number of resources on our website to support getting started with developing mobile apps using Evothings Studio. Enjoy discovering a new world of possibilities combining your Punch Through Design projects and mobile applications!